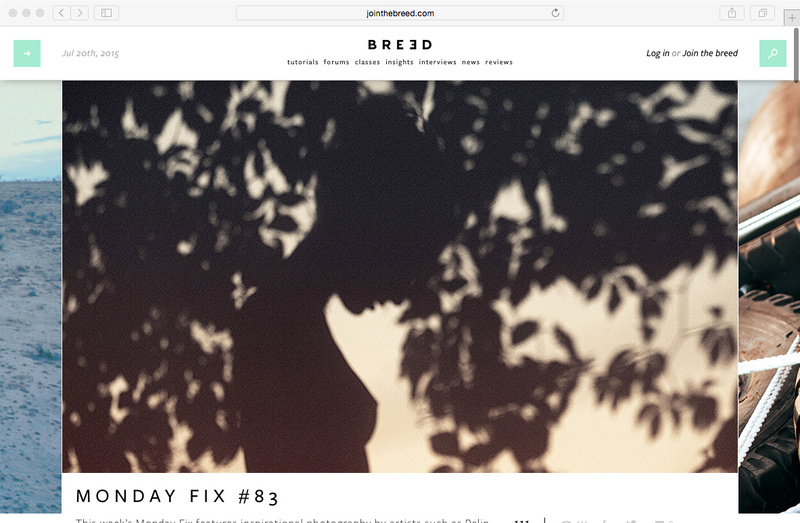 The Fashion Photography Blog is the original baby of fashion photographer and co-founder of "The Breed" which shows up at #3 on this list. The site brings us content that range from news to tutorials. What I like about this site is that it feels more like a stream of consciousness that is sharing basically anything Fashion Photography that is deemed sharable. There is also original content on Lighting, Marketing, Gear, and other topics that would concern those interested in fashion photography. Models.com is a very different type of resource from the others on this list. The site, as the name would imply, centers its content around the models. 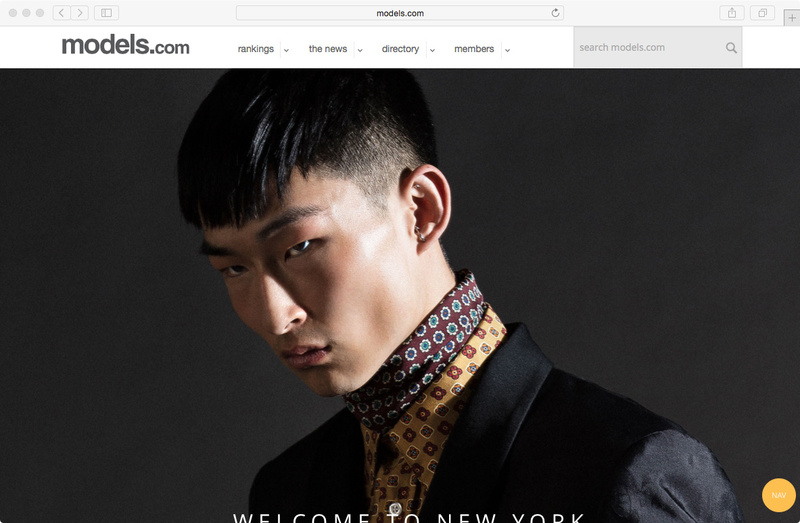 Models.com is can be broken down into three main categories: Portfolios, Directory, and Rankings. Models, Photographers, Hair Stylists, Makeup Artists, Stylists, and Agencies can all register and create portfolios that visitors and members can search and view. The Directory section is where Models.com begins to separate itself. There are many other sites out there where people can create and post portfolios, but a directory of industry specific businesses is not something you will run into quite as often. In the directory, you can search through lists of Modeling Agencies, Talent Agencies, as well as a category entitled, "Creative Talent Agencies." The Creative Talent Agencies list includes creatives like: photographers, stylists, art directors and many other categories as well. Finally, Models.com offers great content that revolves around telling us which models are trending in the industry in various categories. Not only is this great for finding models or for models to promote themselves, but having these current lists of talent that is trending also directs us as photographers to the styles and imagery that is trending as well. I find this portion of the site in particular to be of great insight into the fashion photography industry. The Breed is another product of Melissa Rodwell, and Co-founded by Marius Troy. This resource is filled with original content that is directed at those in the fashion photography industry, photographers, makeup artists, stylists, and models looking to expand there skill sets and insight into the industry. Content from "The Breed" includes interviews with industry insiders, tutorials, and articles. What is great about this resource (and the downfall of our #5) is the predictability and reliability of the content. The Breed has regular categories of content that is posted on a weekly bases. So viewers of the site can count on new content in similar categories being posted on a regular basis. What has limited the growth of the site, however, is their paid business model. The site, jointhebreed.com is a paid resource, you are required to sign up and pay a monthly fee. I do however think the juice is worth the squeeze on this one and recommend it to those new to the industry. 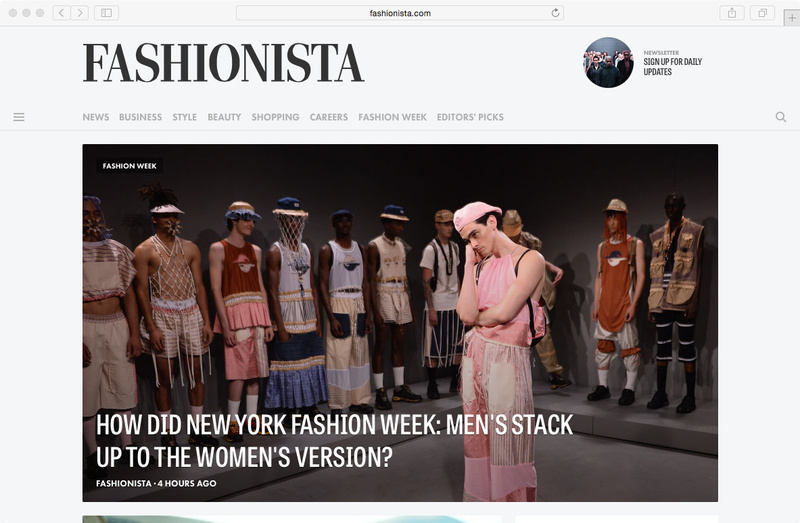 Fashionista.com can be summarized as a large online magazine. The description may lack some luster, but what has Fashionista.com ranking in at #2 is the volume of content over a large variance of topics and the relatively consistent quality of the articles on the site. All in all, Fashionista.com stays on point, meaning the content that is on the site, is content that belongs on that site and is content readers of the site want to see. News, Style, Beauty, Business, are just a few of the Fashion Industry related topics found on this resource. 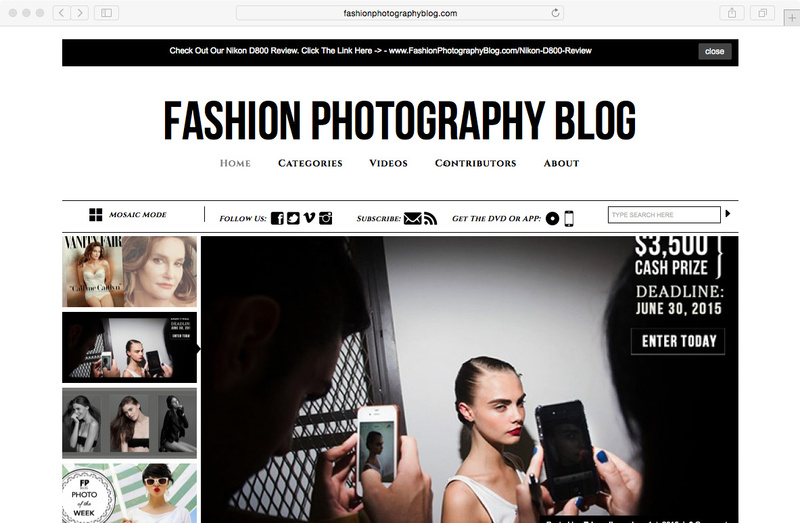 Also it should be noted that Fashionista, a lot like our #1 resource, is not a Fashion Photography or Fashion Model website, it's a pure fashion site that provides insight into all facets of the industry. 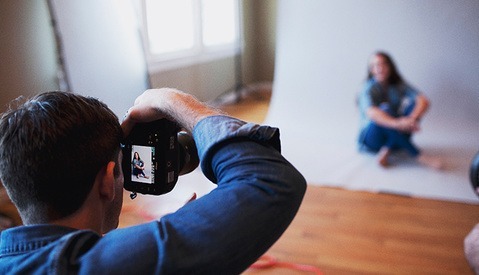 The content here is strong and should serve has great insight and inspiration to photographers, what may detract the casual visitor is the lack of impact visuals that often hold one's attention on other fashion oriented sites. If this list was purely about the "Fashion Industry" we may need to flip #1 and #2, but this is a Fashion Photography list so the "photography shoot" focus of Fashion Gone Rogue, gets it the nod for the number one spot. Fashion Gone Rogue is the visiting spot of fashion beginners as well as pros of the industry. The bulk of the content revolves around Fashion Photography shoots that are at the cusp of the industry, offering photographers and other key members of the industry a live window into the current zeitgeist of our industry. Not only though, does the site show images from current, editorial and advertising shoots, its also shares essential imagery from major events like fashion week runways. The volume of incredible content coupled with the search feature on the site, make Fashion Gone Rogue an encyclopedia of the fashion industry. However, I am not a fan of the new homepage design. They have made the search feature much harder to find. Another downfall of the site, is that at times, older posts include images that are no longer linked. But all in all Fashion Gone Rogue is an incredible resource. What are some of your favorite fashion photography blogs? Sneaky way to add in a PAID site in here. Breed is a subscription site and the few free articles they have are pretty useless and uninteresting. Thanks, added a couple of them to my feedly. I like the look of The Breed and I do read it, but the free articles are not up to much and frankly the monthly fee is a lot in my opinion, especially considering the caliber of the free articles (are the paid ones so much better?). I do like their weekly interview and Monday Fix.. Shame they don't openly release their articles after a number of of months have passed or something. I personally think that the breed is a waste of money another c level photographer teaching c rate photo info. If you don't want your info spoon fed to you there are great resources on the web. The Fashion Spot forums have so much information that can be searched for by magazine, photographers, editors, vintage magazines, its insane how much info is on that site. If you are serious about being on trend with fashion and make up then Style.com is the best place to see all the current shows and the best part is that they usually shoot a lot of backstage beauty so you can also see the current hair and make up trends. Fashioncopious is also like fashion gone rogue but has a bit more pleasing format. Models.com should be higher on the list. Youtube is also a huge wealth of info that is much better than the breed, just look up Profoto or PhaseOne for a huge amount of BTS and tutorial videos. Firstly, I want to say a big thanks to Lance & the team at FStoppers for including FashionPhotographyBlog.com on your list! It is an honor, as we love what you do on you blog for your community. In fairness, on behalf of the team here at FPBlog, I thought that it's best to come from the horses mouth to explain what has been happening behind the scenes, and why the writer has a right to his opinion in regards to our site. Since the beginning of the 2015 we had noticed some technical issues in the back end. We were cautious about adding more content at the risk of causing additional pressure on site. We were hoping that these would be resolved quickly but ended up taking a lot longer than anticipated. We also were waiting for content promised from guest writers who became busy; focusing on their career building activities (as they should be). This left us with gaps in our posting schedule. We sincerely apologize to the greater photography community for this; it wasn't our intention nor was it planned. The good news is that we mostly through with the issues holding us back in the first half of the year and are now excited for the second half of 2015 with new, frequent content rolling out for fashion photographers and fashion photography enthusiasts alike. I'm so glad that I can be open and frank about this. I want to, once again, show my appreciation for making it into this list, even with the challenges faced earlier this year. Hi Alice, thank you for your feedback. 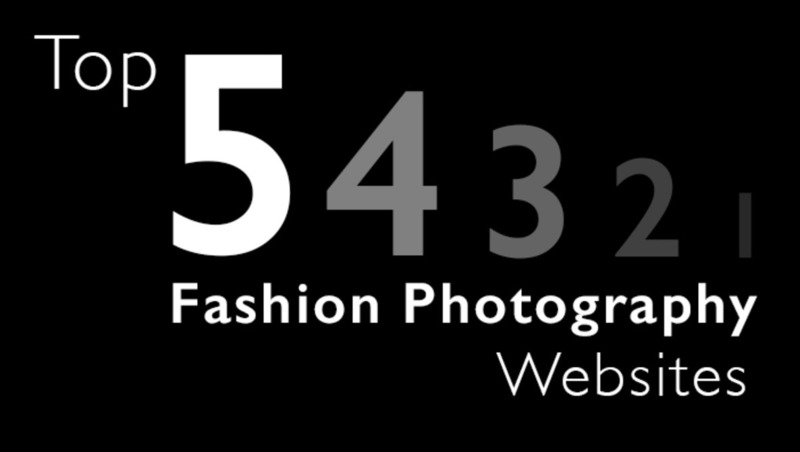 We will definitely be adding more articles on beauty photography to FashionPhotographyBlog.com . Sincerely Ed. Big ups to you guys at Fashion Photography Blog for replying, you guys do great stuff really looking forward to the new content! Working links to the actual sites would have been nice. Eric you are correct my man, they were meant to be in all of the titles - in fact I though they were but I just saw they it was only linking on the first one (#5) it has been corrected - good catch!